This space is for Palestinians to speak for themselves, which they so often do with a hope and a vision that I wonder if I could imitate in their position. Like the taxi driver today (whose friend was killed in the recent attacks) who was explaining to me that there are lots of good Israeli folks who didn’t want to attack Gaza. He said he had many Israeli friends (from before Ariel Sharon made the smart move of legislating to isolate the two countries from each other as much as possible) who phoned him through the strikes to see if there was anything they could do. Many Palestinians are confident in English; these are not translations by me but the writers’ own words. It was December 27th 2009 when Gaza Strip was subjected to a massive air attack by the Israeli air force. A week later, the Israelis started a massive ground offensive. During those repulsive and dreadful days they destroyed all green fields, destroyed residential areas, and spread havoc all over the place. After that mad war that claimed the lives of about 1400 people and injured other thousands, it was horrendous to anyone to see the size of the huge ruin and destruction in the areas where the Israeli forces entered. For 23 days life was unbelieveably horrible. It was one of the worst times that I witnessed in my entire life. It was frightening, horrible, and ugly in all possible ways. Mass murder is a crime under international law. It was committed by the Israeli forces in Gaza. They massacred hundreds of women and children, and even the aged and handicapped people lost under the rubble of their homes. The Israeli soldiers executed a number of men, women, and children right away in the field, and in front of their families, without any questioning or accusation, but simply because they were Palestinians. I think the foreign medical teams who arrived at Gaza via Rafah border crossing to support the Palestinian people in their plight, also expressed their shock due to what they saw in Gaza hospitals. Wounds and injuries resulting from the very strange kind of weapons surprised everyone, even doctors who served in civil war areas in Rwanda, Africa. 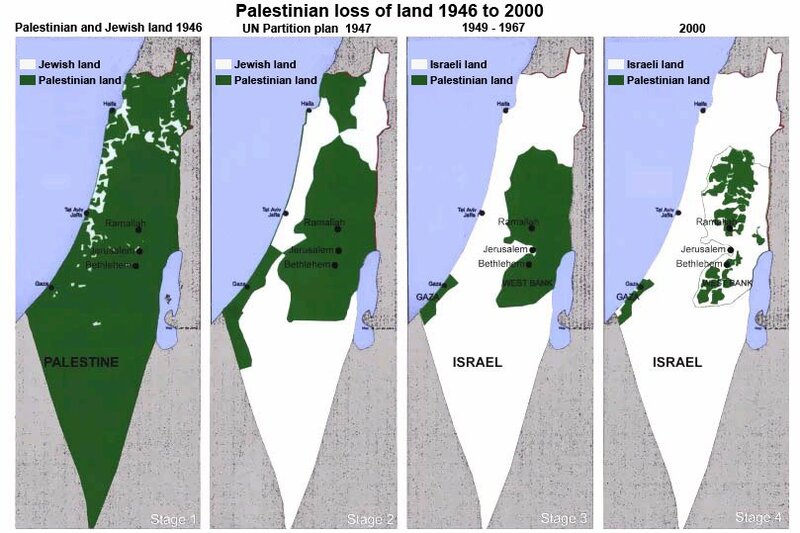 Israel committed genocide against the Palestinians. If I were not an eyewitness, I would not have believed the horrible scenes of dead people, and the massive number of the injured! I rushed to the hospital to help my colleagues at nursing. I went through really unusual experiences that I never thought about before. The most horrible scene was that of the injured people from the white phosphorous bombs dropped from the air at the Palestinian residential areas. They destroyed any body part they touched. It was so sad that I lost fourteen of my colleages during the war; most of them were killed while they were trying to save the lives of others. I am still unable to believe that they are gone forever. By the end of the war, I started having bad dreams and nightmares. I still have very bad memories that I may need long years to heal from, and this is also the situation of many other colleagues like myself. I met Shery, who was holding the hands of two little relatives, as we went together on the “walking evacuation” of civilians who had fled their homes to Al Quds hospital and now had to walk under fire to the dubious shelter of an UNWRA school. We all believe in human rights, that is why many groups of people built the humanitarian society all over the world. But when we talk about the people who live within the borders of Palestine and especially in the Gaza strip which has been under siege for almost two years, the world stops talking about the rights of Palestinians who suffer on a daily basis. Didn’t they notice that Olmert & Barak announced a war against Gaza?! All of a sudden they attacked several Hamas government installations in Gaza claiming the lives of dozens of people. The Israeli army is nothing but a killing machine; they continued the killing of innocent civilians including women and children for 22 days. The Israeli army wreaked havoc in every place they went. It was really hazardous to leave one’s home to see what’s going on outside. Believe me no one was safe at their home, because you don’t know when will the Israeli army return to cause more destruction to the places which have already been destroyed. So we don’t bother ourselves by looking for a safe haven to hide in, because we are in Gaza and all of the Gaza Strip is a target. Gazans don’t need to rely just on summit meetings or prayers by world countries because they know that Almighty God is standing by their side. You may have read my version of Reem’s story – she decided to write for herself too, to share with her friends and anyone else who will listen. I woke up at my uncle’s house happy to hear that Tal Al Hawa where I live is quiet, we decided to go back home and I was singing “Home Sweet Home”, but what we didn’t realize at that moment that we are going there to witness the worst day that a human being can live!! We went home, I missed my teddy, my pillow and my room, but unfortunately I neither had the time to hug my bear nor to sleep on my pillow, shelling started heavily and it sounded like at home, I was terrified just like any one in the area, it became night and nothing changed and we were all hoping that it’s going to stop by midnight. The dream didn’t come true and every time I say this is the worst of what I heard, the worst come to tell me “Not really dear, there is more”, it became 3:00 am and I am freezing and shivering as I am don’t know what to do and can’t move out of home or even inside it, otherwise the F16 will see us and bomb us. At that time, we realized that the Israeli tanks entered the area and its bombing randomly and the F16 is bombing in the same area too, at that moment I read my prayers as if it’s the last moments of my life. Fear increased because I live at the fifth floor, so we are closer to danger, so we were thinking of going downstairs despite the danger and we succeeded in making it, we left by our sleeping clothes to the first floor. It became 8:00 am and we are waiting, but we realized that it’s incursion for our area and I was expecting death from moment to another, we heard some noise outside and we wanted to know what’s going on, my aunt thought resistance men outside. She wanted to go and check again, but the shock wasn’t resistance men, but it was the tank in front of our eyes. We called the red cross and it wasn’t responding, the red crescent said “sorry, we can’t reach you” and I tried to call all the NGOs I know and it didn’t work, we were literally STUCK WAITING DEATH. All the residents of the building were civilians and they all decided to get out anyway because all around the building was prepared to be bombed the moment the tank comes to shell!!! We all went out reading the prayers and my brother was carrying my grandmother who was unable to walk, I am holding the hands of 2 kids crying, my aunt holding her baby and my mother crying too. Look at this scene, snipers above the building behind us, kids, elders, me, my family and everyone rising their hands up, waiting to be shot, tears in their eyes, reading prayers and the street we should pass to reach al quds hospital is too short, but it was the longest EVER to pass!! Do you know how it feels to saw people are walking with you falling down because they are shot and they are just like you, you can’t help them and you are waiting your turn?!!!!!!! It feels the worst EVER, Haneen was a kid who couldn’t make it and pass the street because she was shot and she died in front of our eyes, she is the example which I know and many didn’t make it too that day and I am witnessing all this!!!!! My grandmother fell in the street, my brother went to help her and I was scared to death that he will be shot, they obliged us to go inside the hospital and we were waiting for my brother, my grandmother and my uncle to show up but they didn’t. I started crying and asking everyone, I was sure that they were shot and it was the moment I thought it’s the end of the world, injuried were entering the hospital and I waiting to recognize them, but again we were obliged to go to the basement of the hospital because it’s being shelled at the moment. My brother, my grandmother and my uncle had to reach the basement from totally different way which we didn’t know and when I saw my brother, I am sure that people out of the hospital heard my voice shouting “WHERE THE HELL HAVE YOU BEEN, I THOUGHT YOU’VE BEEN SHOT” and my tears were a river at that moment and at this moment too because it’s horrible to remember, so my brother hugged me and calmed me down and stuck again in the hospital. The hospital was full of injuries, dead people and those who were lucky to run away like my family, we finally knew that there will be coordination between the red cross and Israelis to get out from the area and the coordination was “All civilians get out of the hospital walking and keep walking holding nothing with the red cross people and 2 ambulances from the hospital. We had no choice, we walked and walked , the F16 above us and the air full of poisoned gases, the street full of phosphoric missiles and the hospital gave my grandmother a chair so that we can push her in the street, we walked a very long distance and some of people who were walking were in fire because of the phosphoric missiles in the street. We were scared from being bombed from the F16 as they did this with a group of people in other areas before and the streets we walked looked like “Streets of ghosts”, because there were no people around and finally we reached an UNRWA school which was full of people so we decided to go to our relatives home to sleep over there. I couldn’t believe that we made it, we are alive which sounded impossible before 7 hours when we started the walking thing, we reached our family’s home and we were telling the story like a legend, it was true that we went to sleep at their house but the terrible experience we faced didn’t let any of us sleep after 72 hour of being awake!!! The scene when we arrived was all of us in Pajamas , nothing else with us, no passports, no important papers and nothing at all with us, but all what we did is praying for our house which my parents built after 20 years of work not to be shelled!!! I wanted to write what happened with me at 16th or 17th of January but it affected me to the extent that I couldn’t write it, trying to forget what happened and which affected me so much and now it’s the 24th of January and when I wrote it every single thing I witnessed came back again, how can I continue my life as if nothing happened? How can I forget the fear I lived which I can get rid from till now? How can I study again and focus on my future? How can I accept the idea of living without seeing my friends who were victims? And How can I woke in my street again which reminds me of the misery I lived??! !